Replica Tape readers measure and record surface profile parameters arcuately using Testex Press-O-Film replica tape. 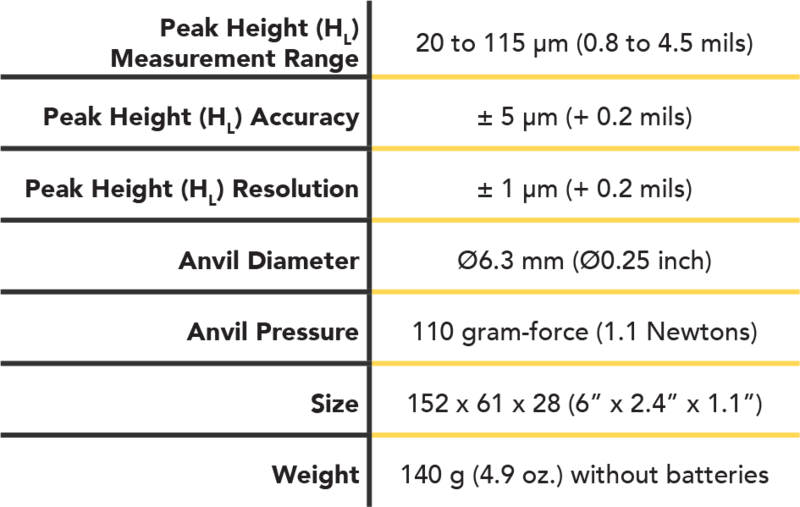 The Positector RTR H digitally measures peak-to-valley surface profile height. The PosiTector RTR 3D additionally displays high-resolution 3D surface imagery and common 2D/3D parameters such as Ra, Rz, Sq and Spd. Models available – RTR H and RTR 3D. Compatible with – Standard Body, Advance Body, SmartLink (RTR H only), Probe only.